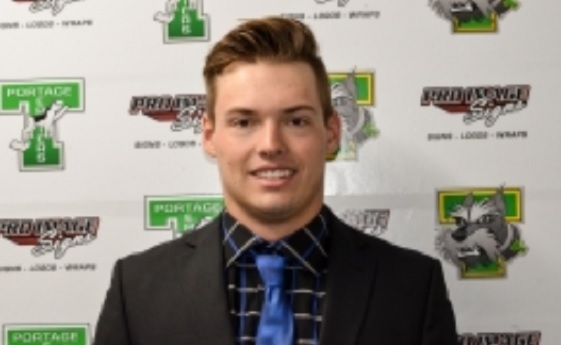 Brandon, MB (CKLQ) - Ethan Peterson of the Portage Terriers gets the MJHL's Player of the Week honours. The netminder from Park River ND posted a 0.50 GAA and .978 save percentage in two victories last week including a shutout. Peterson is the second netminder in as many weeks to capture the honour. The 19-year-old Peterson currently has three shutouts in 14 games. His overall record is 9-2-1.